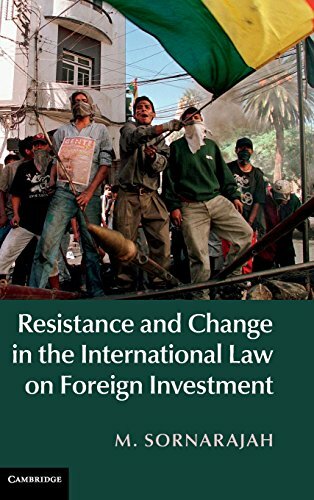 [PDF] Resistance and Change in the International Law on Foreign Investment | Free eBooks Download - EBOOKEE! Description: Since the 1990s, conflicts within international law on foreign investment have arisen as a result of several competing interests. The neoliberal philosophy ensured inflexible investment protection given by a network of investment treaties interpreted in an expansive manner, which led to states creating regulatory space over foreign investment. However, NGOs committed to single causes such as human rights and the environment protested against inflexible investment protection. The rise to prominence of arguments against the fragmentation of international law also affected the development of investment law as an autonomous regime. These factors have resulted in some states renouncing the system of arbitration and other states creating new treaties which undermine inflexible investment protection. The treaty-based system of investment protection has therefore become tenuous, and change has become inevitable. Emphasising the changes resulting from resistance to a system based on neoliberal foundations, this study looks at recent developments in the area. No comments for "[PDF] Resistance and Change in the International Law on Foreign Investment".